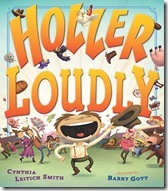 Children’s and YA author Cynthia Leitich Smith gives an incredibly generous and instructive interview to Julie Danielson at the Seven Impossible Things Before Breakfast blog about the six year gestation of her new picture book Holler Loudly, illustrated by Barry Gott (Dutton). The post includes some wonderful page spreads — original outline drawings and the finished illustrations from the book. You might want to check out Barry’s sketchedbybook tumblr page. 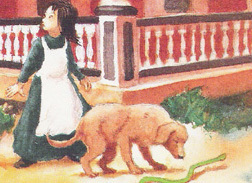 Children’s and YA author, and Cynthia’s husband Greg Leitich Smith, meanwhile has posted on the recent bumper crop of children’s and YA books by Austin, Texas authors and illustrators. 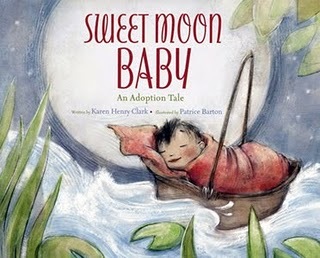 He cites 22 new children’s and YA books out by Austin area authors and illustrators, most of them in the Austin SCBWI chapter, including Patrice Barton (Sweet Moon Baby: An Adoption Tale, Layla, Queen of Hearts), Don Tate (She Loved Baseball: The Effa Manley Story), Laura Logan (Nonna Tell Me A Story) and Keith Graves (Chicken Big). Read his post here. Don Tate writes in Hunger Mountain, the Vermont College of Fine Arts Journal of the Arts about how he approached his assignment to illustrate Duke Ellington’s Nutcracker Suite by Anna Harwell Celenza (Charlesbridge Publishing.) Read his post and see some of Tate’s art for this picture book account of a fascinating musical collaboration. Bruce Foster, the Houston-based paper engineer profiled in a recent How To Be A Children’s Book Illustrator post attracted a USA Today review of his work in Charles Dickens‘ A Christmas Carol: A Pop-Up Book, illustrated by Chuck Fischer and a Dallas Morning News feature for, among his other accomplishments, his paper engineering for the official Warner Brothers’ Harry Potter, a Pop-Up Book, illustrated by Andrew Williamson. Make Your Splashes-Make Your Marks! 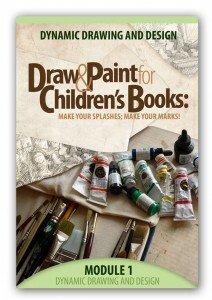 Mark Mitchell’s online course on children’s book illustration now includes monthly in-depth video interviews with successful children’s book illustrators. "Make Your Splashes - Make Your Marks!" They’re like having your own nosy, personal visits with the illustrators in their studios. A new study buddy option on the course enrollment page lets you bring a colleague, friend, or family member into the course with you with full benefits for both of you for a tuition price that is nearly 2 for one. You’ll find the option on the enrollment form, which you can reach via the course info page. Read author Cynthia Leitich Smith’s interview with Austin SCBWI regional adviser Debbie Gonzales about a special October 8 symposium, Embrace the Change: Storytelling in the Digital Age that will feature good training by pathfinders in the emerging worlds of children’s book apps and e-books. All right it’s not Austin related, but Vanity Fair of all magazines, chats with Maurice Sendak about his new picture book Bumble-Ardy.